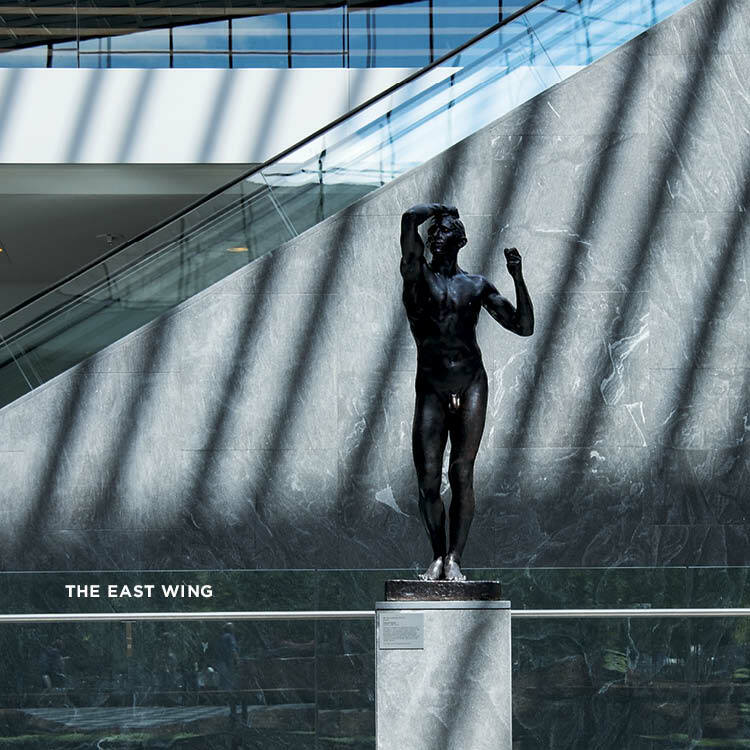 To the left from your place in the atrium is the east wing, with modern and contemporary art and works from Europe and America since the 19th century, including photography, on level two. Below those galleries are the two special exhibition spaces on the lower level. 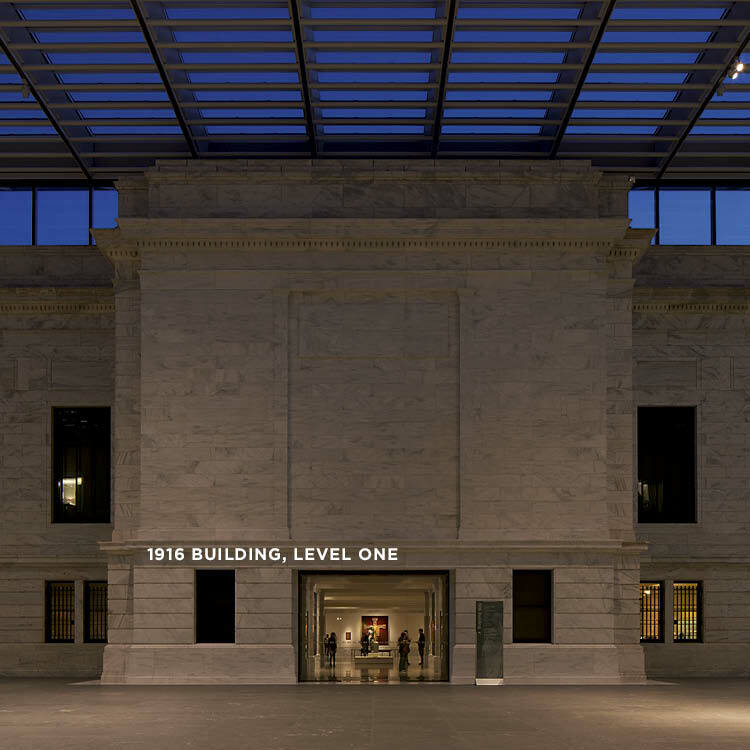 To your right is the west wing, with the galleries of Indian and southeast Asian and Chinese art on the second level and the museum store and Provenance Café and Restaurant below on the atrium level. 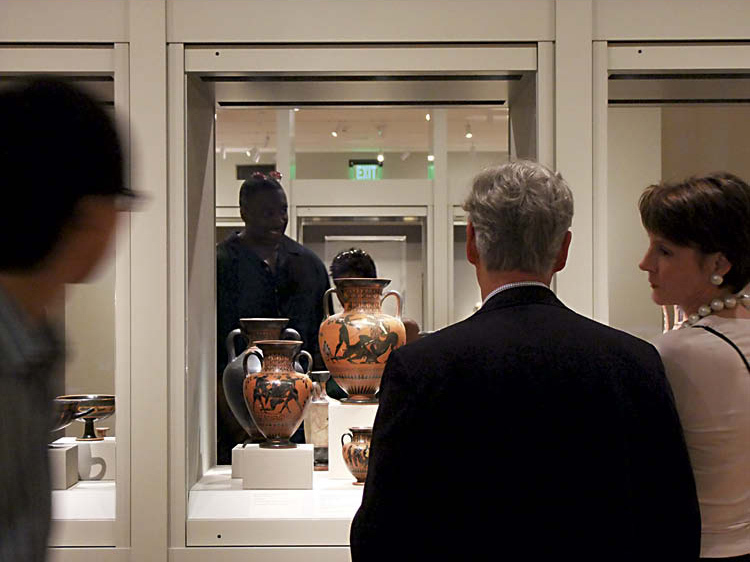 Behind you on level two are the north galleries, with the Japanese and Korean collections, textiles, and the art of the Americas. At ground level just to the east of the passage from the north lobby and the atrium is Gallery One, the multi-award-winning innovative learning center that combines real works of art with age-targeted interactive features designed to help visitors of all ages connect with the collection. This walking tour visits galleries throughout the collection, with curators chatting along the way. Sometimes they call out acknowledged superstars. 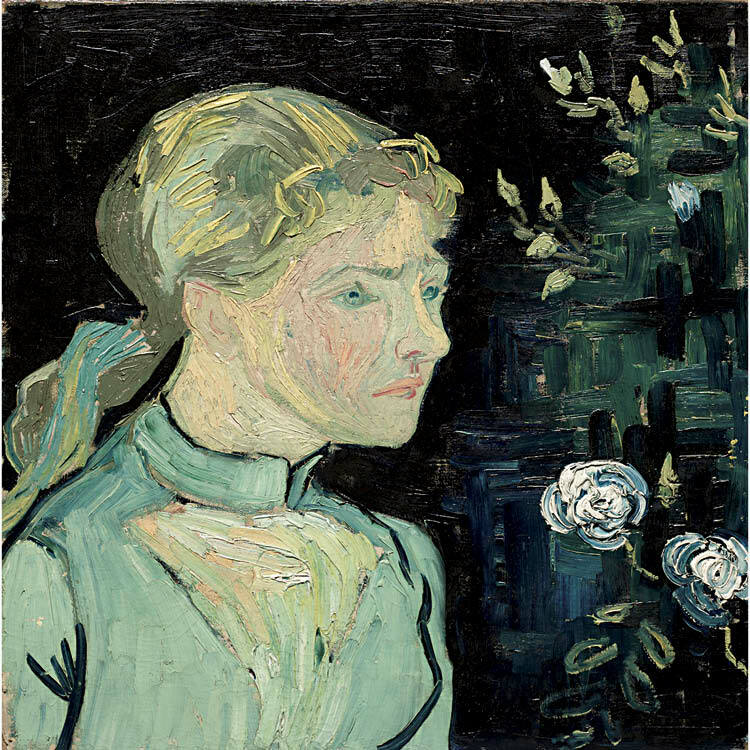 Just as often, they point to works of art less famous, but that for them represent the unique character and astounding object-by-object quality of the Cleveland collection: Think of these as starting points for exploration. 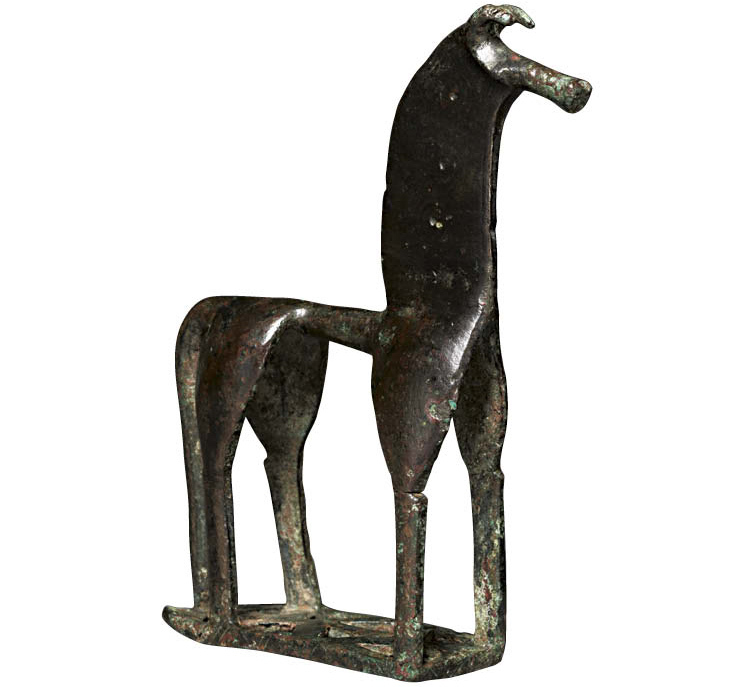 These galleries begin with art from the area that gave rise to the oldest cities on earth—the region stretching from present-day Iraq north to the Black Sea—and follow the growth of civilization and the evolution of art through ancient Egypt, Greece, Rome, then into the early Christian and medieval world and Africa. 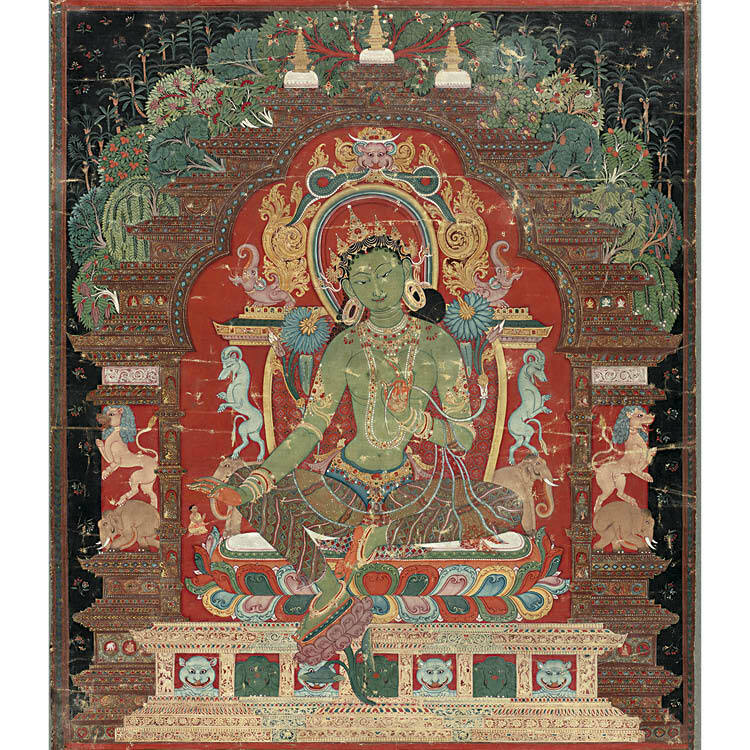 Cleveland’s collections of ancient art are not nearly the largest. 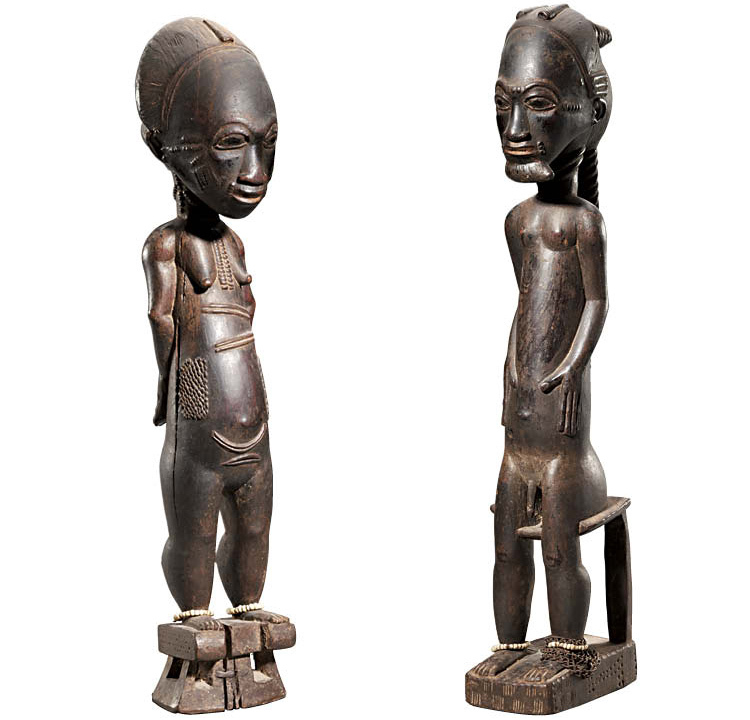 The British Museum in London, the Musée du Louvre in Paris, the Metropolitan Museum of Art in New York, and the Museum of Fine Arts, Boston, built enormous collections of antiquities thanks in part to avid collectors who donated vast quantities of artifacts. 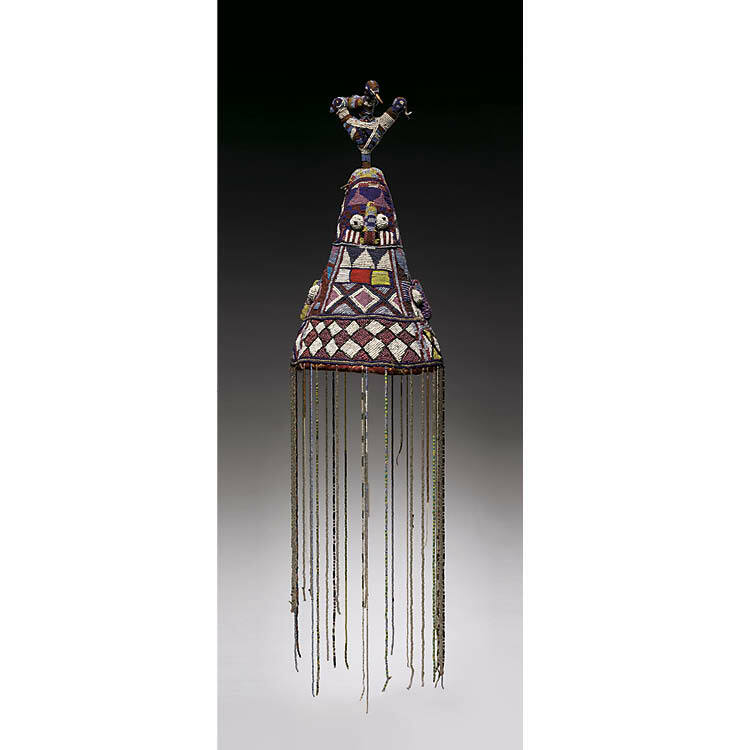 Cleveland’s holdings, in contrast, were built one object at a time, acquired by astute curators and discerning directors. 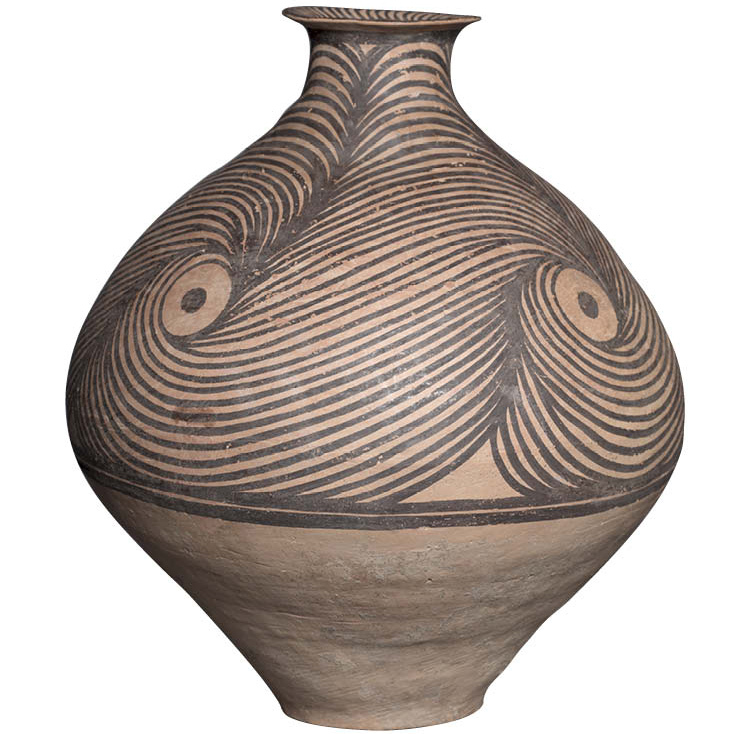 Cleveland’s collection presents a selection of masterworks rather than an exhaustive survey of the ancient world. 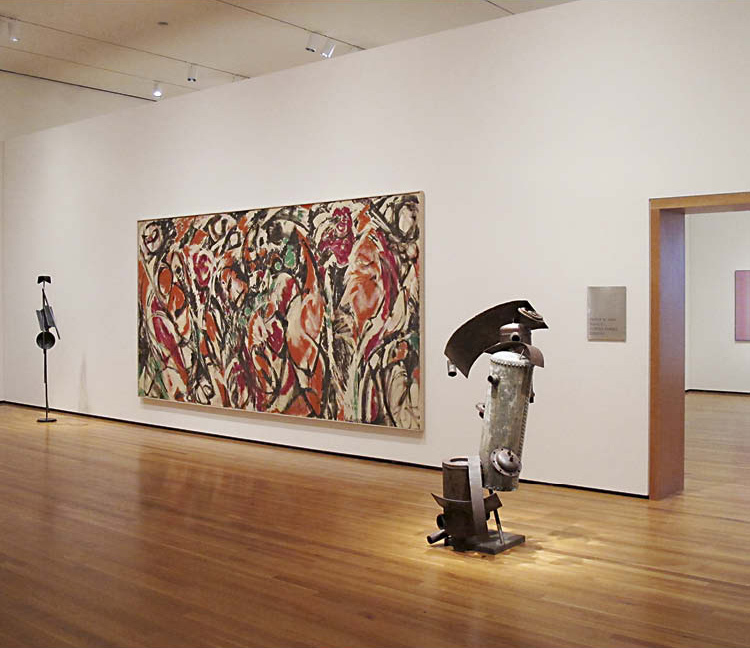 In general, the galleries are organized chronologically, with objects installed and lit for maximum visual appeal. 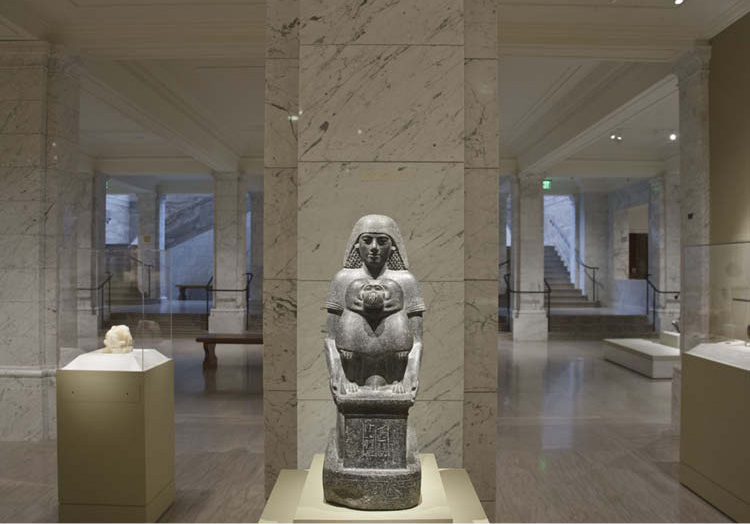 Entering the galleries by turning left after coming in from the atrium, visitors first encounter art from Asia Minor and the Fertile Crescent, including small, portable objects that exemplify the art of early cultures, such as the 3000 bc Stargazer, perhaps from Anatolia. 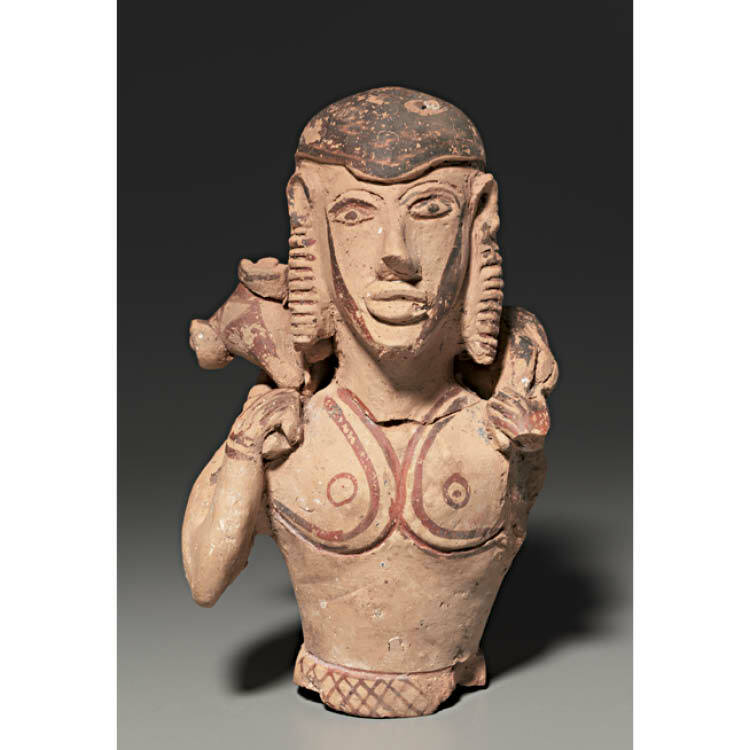 From here the progression moves from Greece to Rome by way of Etruscan and South Italian Greek art that predated the Roman dominance on the Italian peninsula and Sicily. 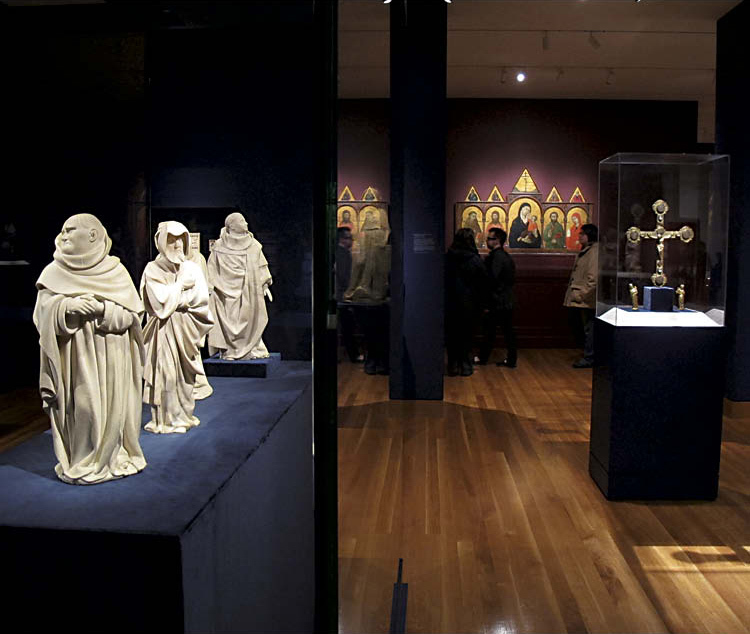 Early Christian and Byzantine art follows, and a circuit of the galleries around the perimeter culminates in a dramatic room devoted to the 11th-century Guelph Treasure and related works of medieval Europe. 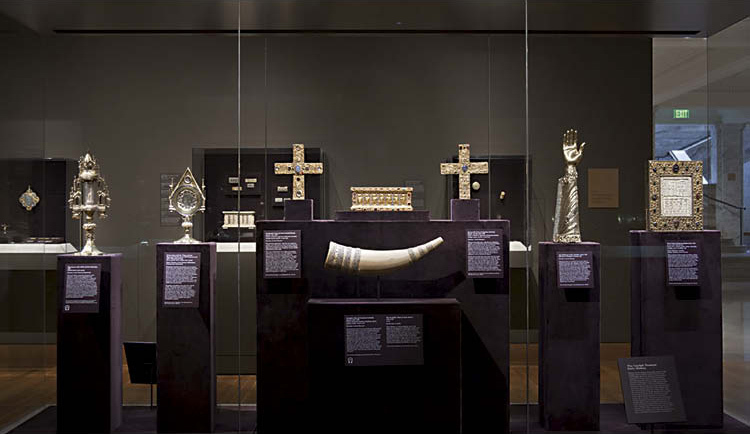 At the center is the Egyptian collection that inspired the great 1992 exhibition Egypt’s Dazzling Sun: Amenhotep III and His World. 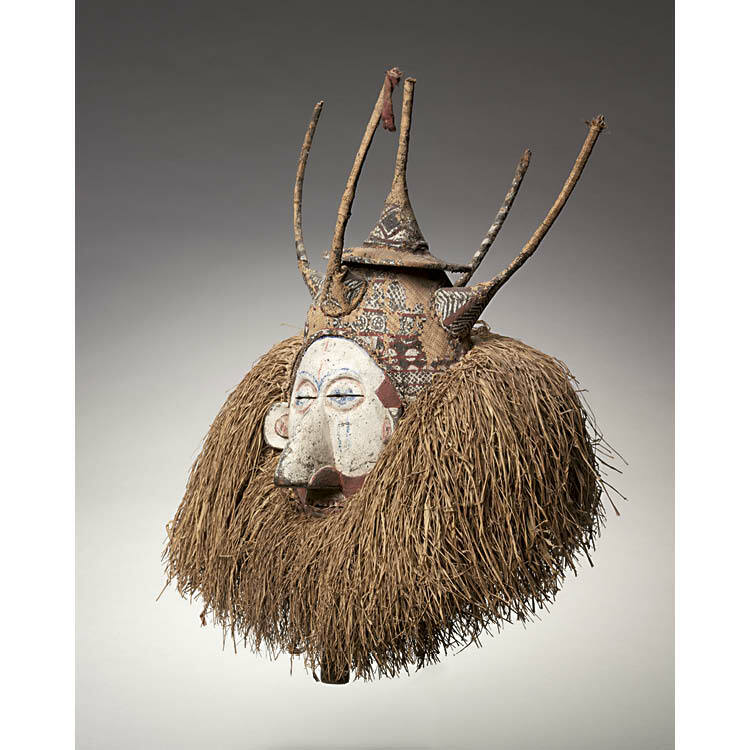 The museum’s collection of African art, most of it much more recent, is for the first time installed adjacent to the collections of Egyptian art, unifying these works produced on the African continent. 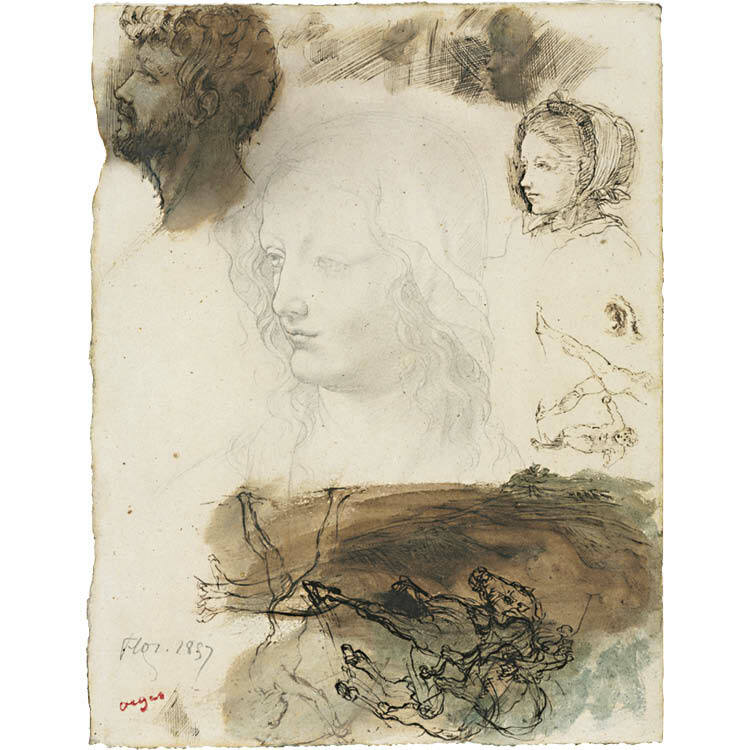 Drawings (Gallery 101) In its range, the drawings collection at the Cleveland Museum of Art represents the work of European and American artists from the 15th to the 21st century. The importance of Cleveland’s major works places the museum at the forefront of American drawings collections. 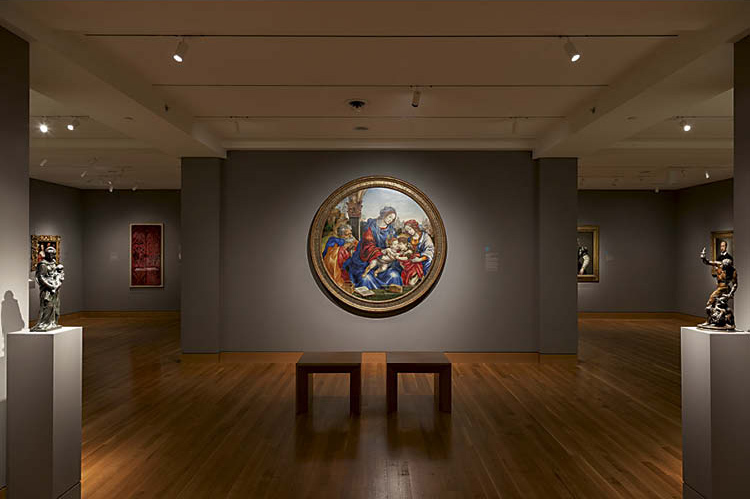 The collection’s greatest strengths lie in its holdings of key works by Italian artists of the 16th century, French artists of the 18th and 19th centuries, and European and American drawings of the early 20th century. 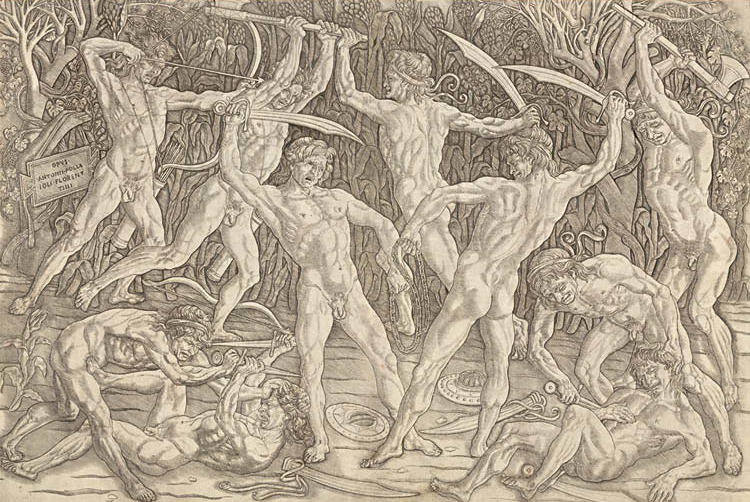 In recent years, efforts have been made to enhance the collection of British drawings, which resulted in an exhibition and related publication, British Drawings from the Cleveland Museum of Art in 2013. Exhibitions and publications focusing on French and American drawings in the collection are planned for the future. 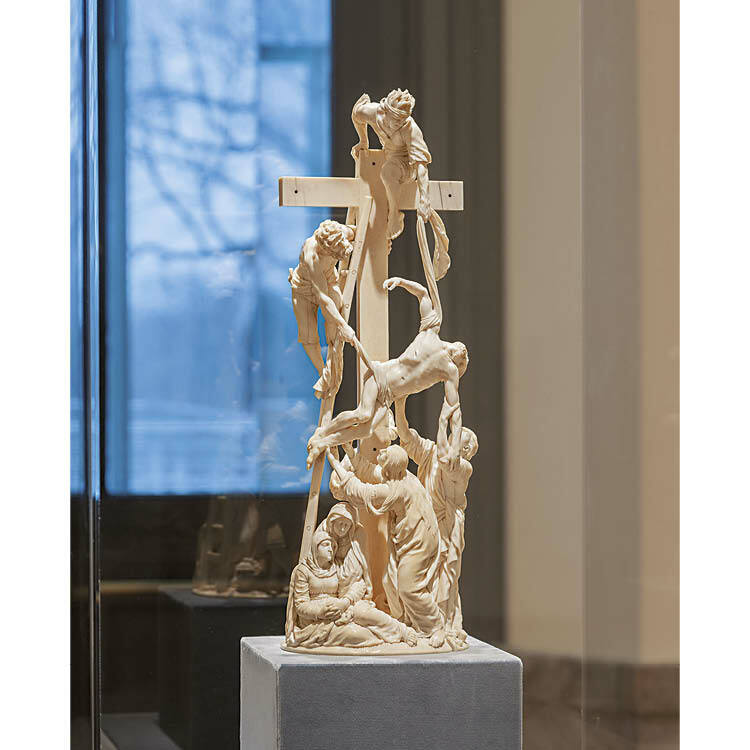 Displaying 1,700 largely three-dimensional objects required fabricating well over one thousand mounts, each designed to hold works of art in a way that is both extremely secure and unobtrusive enough to show off each work’s great qualities. 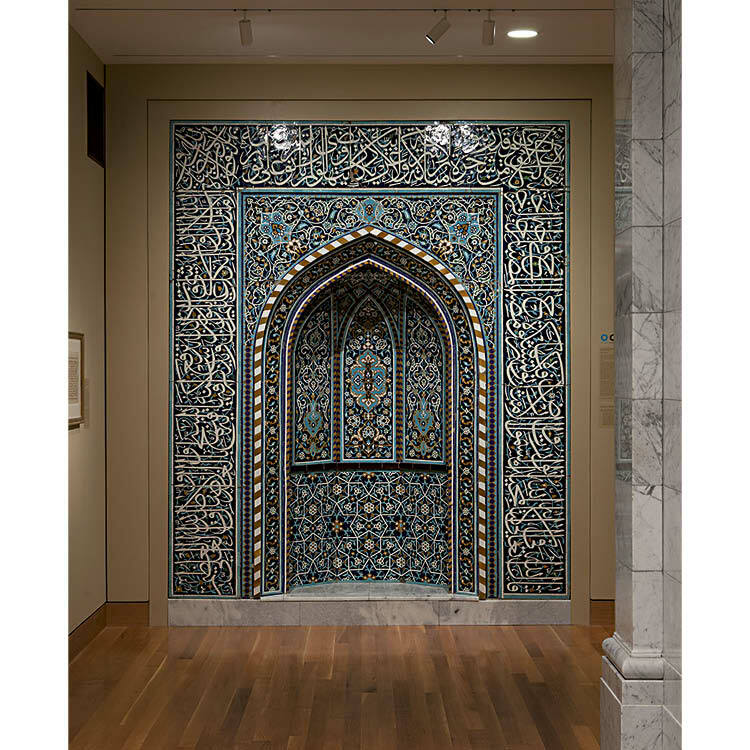 The gallery and lighting designers and curators made sure each room would bring out the best in the works on view there—sometimes incorporating arched doorways and other elements to evoke a particular setting, other times creating more neutral spaces. Rather than a neutral color scheme, we use rich colors in the galleries for some works of art that would have been more like their original settings. A central lobby divides this level where the scope of the contents of the adjoining galleries is suggested by two striking masterworks installed at the base of the stairs from the rotunda above: the bronze sculpture Apollo the Python-Slayer, attributed to the Athenian master sculptor Praxiteles and probably made about 350 bc, and the large painted wood Crucifix with Scenes of the Passion, made in Pisa in the early 13th century. Both are visible through glass doors from the atrium. Crossing that lobby from the Guelph Treasure into the western half of level one, visitors first encounter galleries of high and international Gothic art, including manuscripts, the unique early 14th-century French Table Fountain, and Three Mourners from the tomb of the Burgundian duke Philip the Bold. The next gallery displays Italian Gothic art including the remarkable altarpiece Virgin and Child with Saints, made in Siena around 1300. French and English stained glass follow in the next room, leading into Spanish Gothic art. 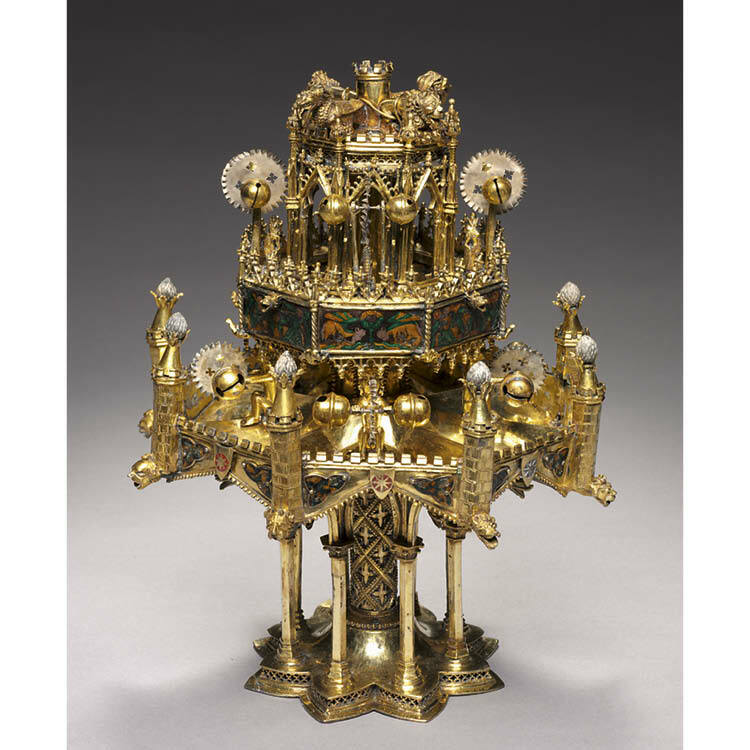 The southwest corner features late Gothic art from German and Austria, with highlights including a pair of sculptures by Tilman Riemenschneider representing Saints Stephen and Lawrence. The next room features Netherlandish art. 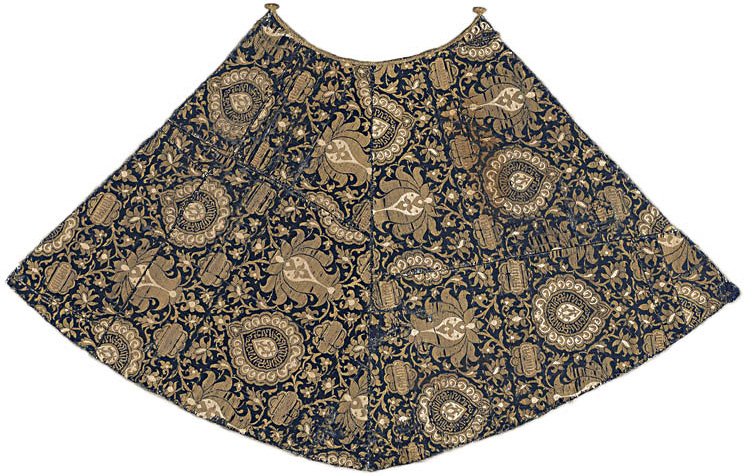 French textiles and manuscripts occupy the gallery in the northwest corner, with the famed floor-to-ceiling Chaumont Tapestries. 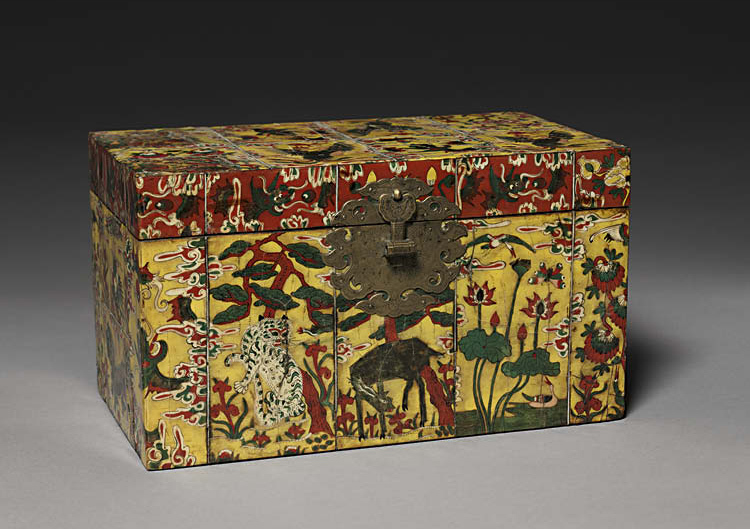 Continuing clockwise around the perimeter, 16th-century German paintings are followed by rotating installations of Islamic art including stunning textiles and the famed Wade Cup. 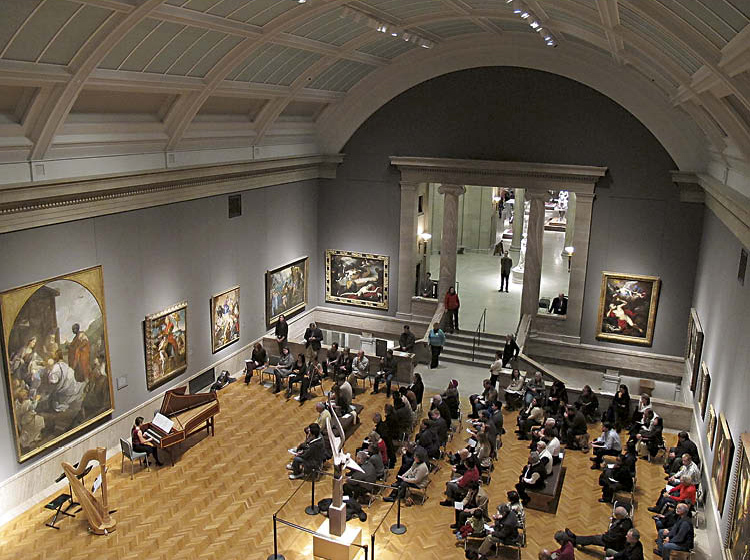 In the center are three large galleries of Italian art of the 14th, 15th, and 16th centuries, with key works including the large Filippino Lippi tondo The Holy Family with Saint John the Baptist and Saint Margaret, the small Valerio Belli pendant Mars, Minerva, Venus, and Cupid, and the panoramic Race of the Palio in the Streets of Florence by Giovanni Toscani, depicting a horse race traditionally held on the feast of John the Baptist. From the central lobby, symmetrical monumental marble stairs ascend to the second level, emerging at the western edge of the Rotunda. 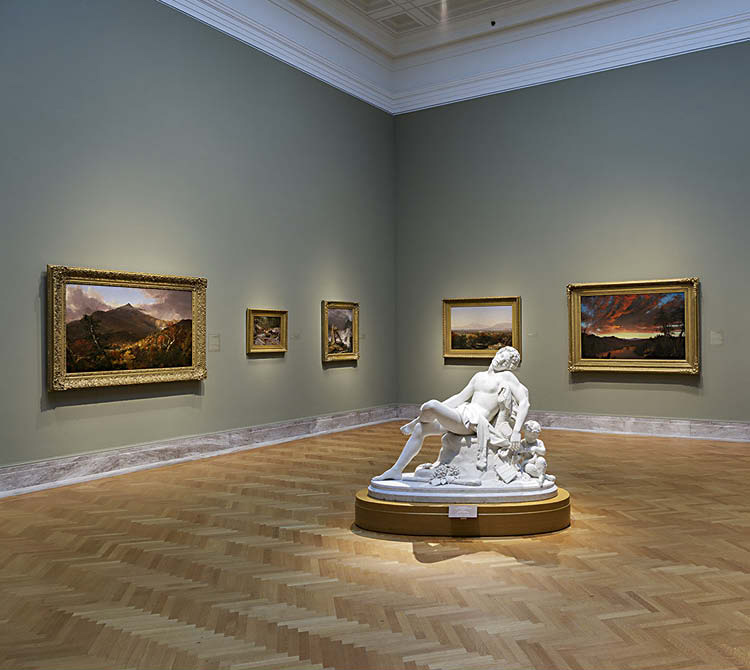 The upper-floor galleries of the 1916 building contain the heart of the museum’s collection of European art as well as the formative stages in the development of American art. The perimeter galleries are arranged around a suite of three large spaces: the Armor Court, the Rotunda, and a barrel-vaulted gallery of Italian painting and sculpture of the 17th and 18th centuries including masterworks by Caravaggio and Guido Reni (with a balcony serving as an intimate space for the display of miniatures and other small works from 17th-century Europe). 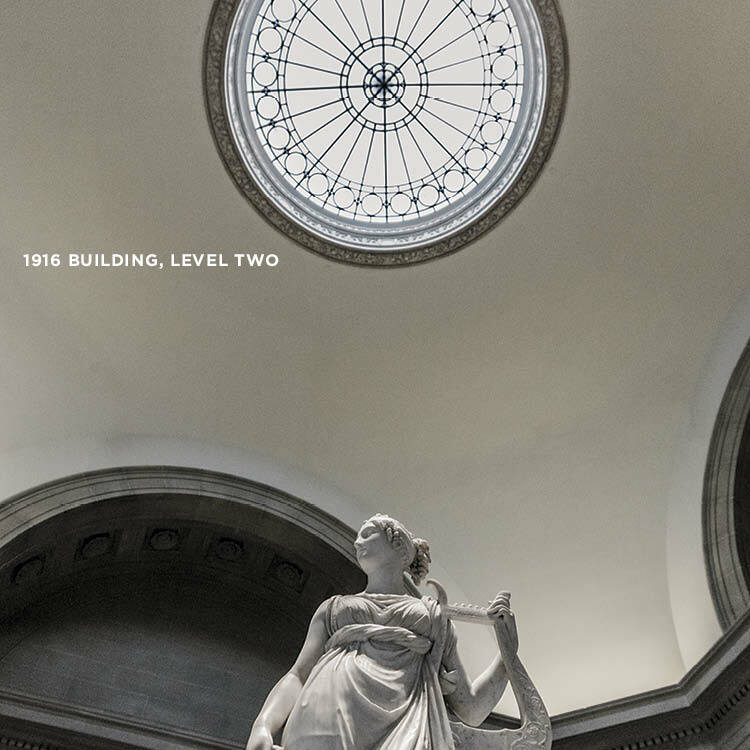 The Rotunda is the central spot from which to explore the building, presided over by Antonio Canova’s marble Terpsichore Lyran. Baroque Court, Rotunda, and Armor Court The barrel-vaulted gallery houses 16th-century Italian painting and sculpture, including masterworks by Caravaggio and Guido Reni. Beyond are the Rotunda and Armor Court. 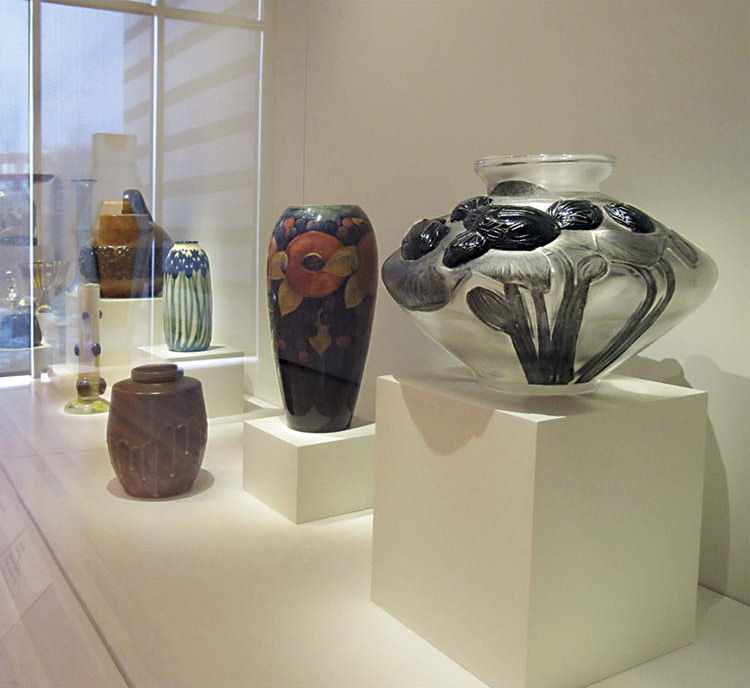 Just inside the south entrance are cases displaying the art of Fabergé on the left and American decorative art, including the work of Louis Comfort Tiffany, on the right. A turn to the left leads into the Reinberger Gallery and starts the visit with an impressive group of masterworks: in this one room are famous pieces including Nicolas Poussin’s Holy Family on the Steps, El Greco’s Christ on the Cross,Diego Velázquez’s Jester Calabazas,Francisco de Zurbarán’s Christ and the Virgin in the House at Nazareth, Peter Paul Rubens’s Portrait of Isabella Brant, and Sir Anthony van Dyck’s Portrait of a Woman and Child. Next comes Dutch Baroque art, including landscapes, genre paintings, still lifes, and portraits, among them a stunning oil by Frans Hals, Tieleman Roosterman. 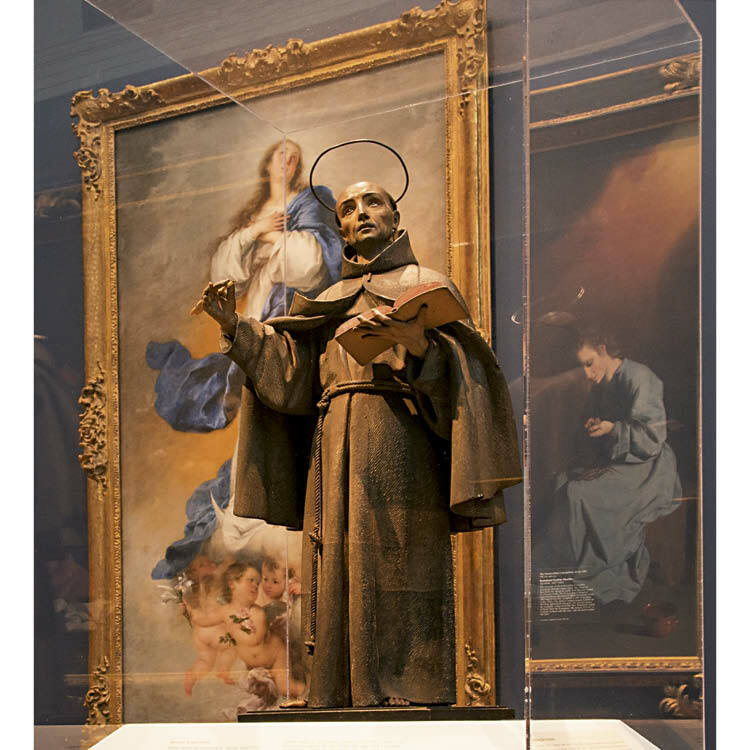 The following three rooms feature European sculpture, decorative art, and painting from the 17th and 18th centuries. French and German art from the 18th century, including paintings by Jean Siméon Chardin and Fragonard and Rococo decorative art and furniture, graces the next room, which opens to a vaulted gallery of Neoclassical painting and sculpture with Jacques-Louis David’s great Cupid and Psyche and a suite of five monumental paintings by Charles Meynier. 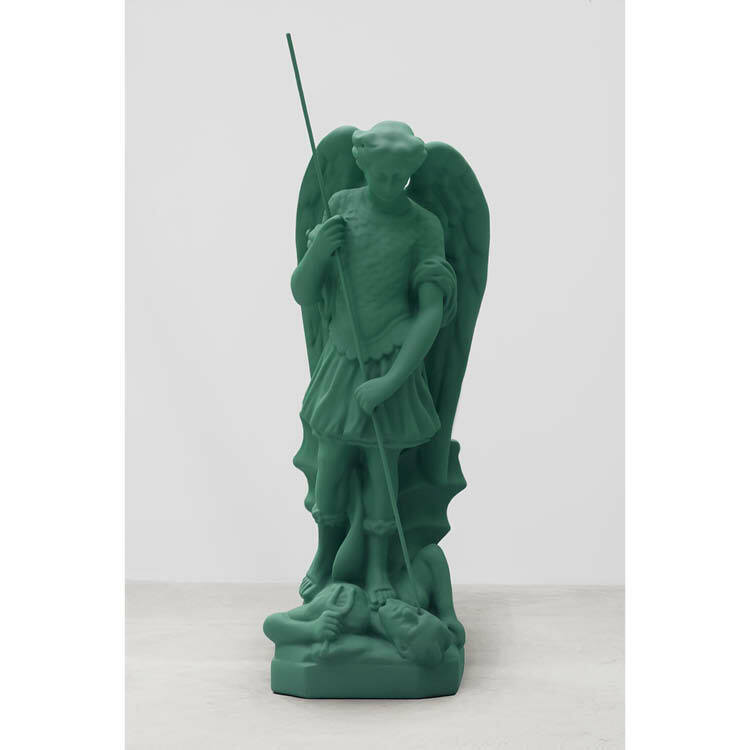 Adjacent is a gallery of French Neoclassical decorative art. British art of the 18th and 19th centuries continues the clockwise tour in a room featuring J. M. W. Turner’s Burning of the Houses of Lords and Commons and works by Sir Thomas Lawrence, Thomas Gainsborough, John Constable, and Sir Joshua Reynolds. 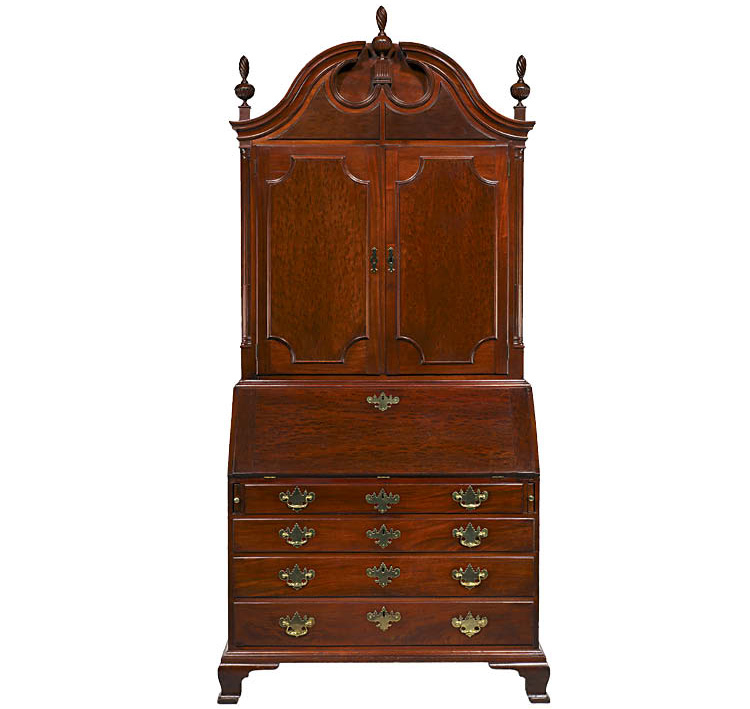 The jump to the New World begins with a small space devoted to silver and ceramics from London and colonial America as well as porcelain and pottery from England’s greatest manufactories. In the next room, displays of Colonial American portraiture and decorative art include canvases by John Singleton Copley, Gilbert Stuart, and Benjamin West, as well as fine examples of furniture and silver by Jacob Hurd and others. American art from the Federal period is next (along with a passage to the east allée), followed by a spectacular room of landscape paintings from the mid 19th century, with masterpieces by Thomas Cole and Albert Bierstadt as well as Frederic Edwin Church’s Twilight in the Wilderness. The next gallery celebrates more icons of American art, with Winslow Homer’s Brierwood Pipe, Thomas Eakins’s Biglin Brothers Turning the Stake, and William Sidney Mount’s Power of Music. Concluding the circuit is a large gallery featuring elegant paintings by John Singer Sargent and William Merritt Chase, exemplars of America’s Gilded Age, juxtaposed with the work of Ashcan School painters typified by George Bellows, whose Stag at Sharkey’s explores a less glamorous side of American life. Within the distinctive zigzag exterior footprint, the more than 27,000 square feet of galleries present striking spaces arranged along a perfectly aligned sequence of doorways that establishes a clear sight line all the way from the contemporary collections to the glass cube at the southern end of the addition. 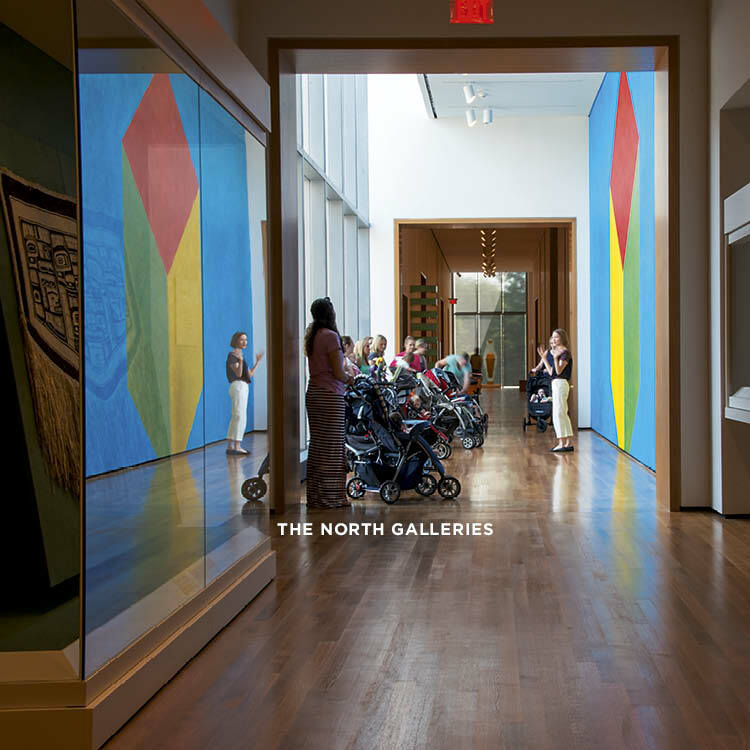 One of the stated goals of the expansion project was to create a sense of openness and connection to the neighborhood, and nothing expresses the success of that endeavor more powerfully than when a pedestrian strolling along East Boulevard glances up to marvel at great works of art on view in the glass box gallery. Similarly, the impression from within these rooms is one of connection to the surrounding landscape, as natural light illuminates every space and windows offer a view out to the street. 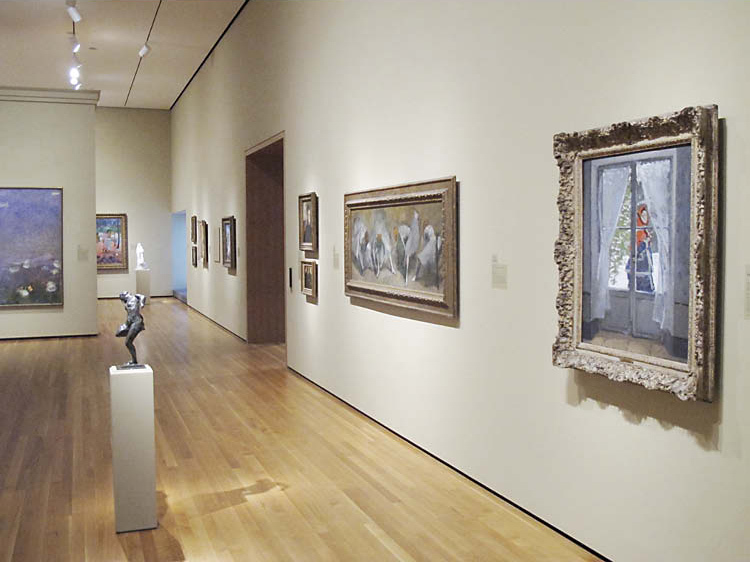 The collections contained in the east wing include some of the museum’s most noted and beloved works of art, picking up the thread of European art where it leaves off in the early 1800s in the 1916 building and continuing that evolution through Impressionism, Post-Impressionism, and modern and contemporary art. 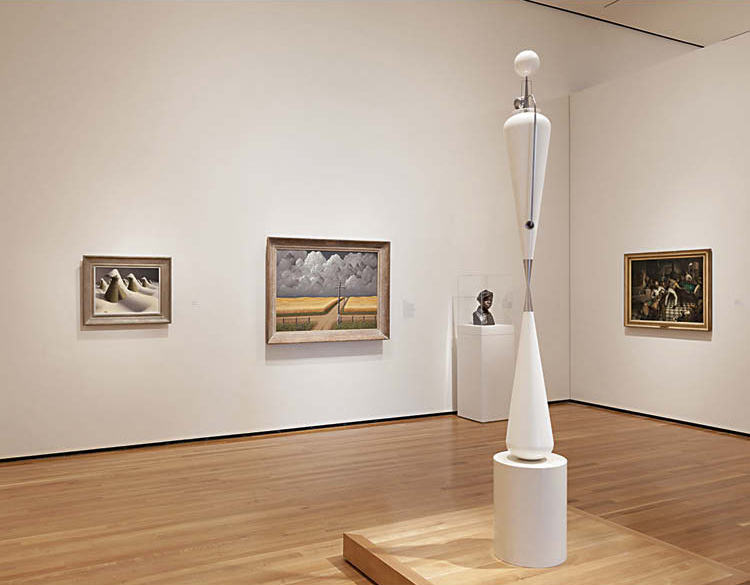 American art also continues, from the early 20th century and up to the present day, from Cleveland School artists to Andy Warhol and Sol LeWitt. 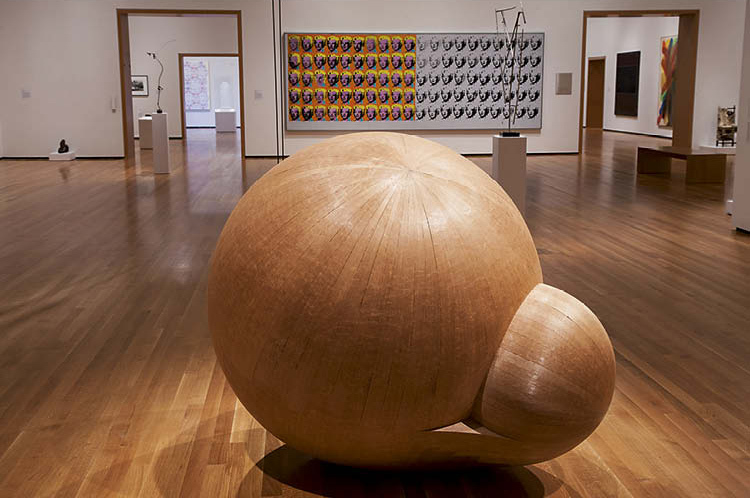 Three separate spaces are devoted to decorative art and design, and three adjoining galleries focus primarily on photography and other light-sensitive materials. The southern end of the east wing allée connects to the 1916 building and galleries of the immediately preceding eras of Western art history. 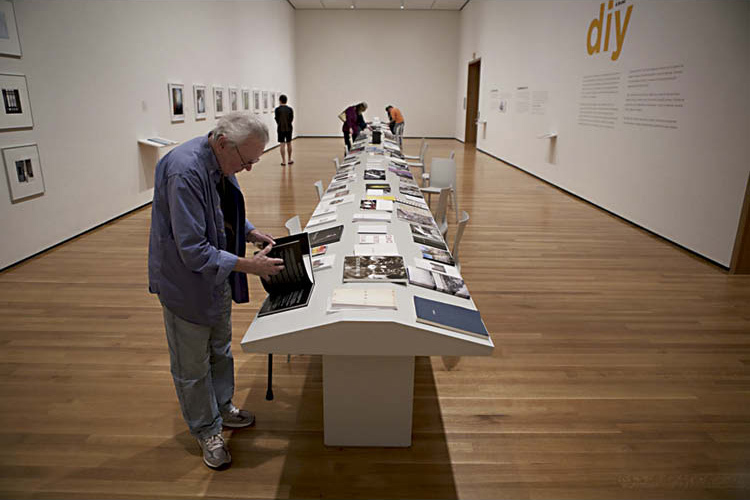 Changing Exhibitions have featured the work of Carrie Mae Weems and Hank Willis Thomas as well as broader shows such as DIY: Photographers & Books (above). The Raymond collection of Surrealist and modern photographs, of which the image below is a part, is the subject of an upcoming exhibition. Photography Because photographs are light sensitive, they can only be on view for several months at a time, so we offer a constantly changing panoply of delights in the museum’s 2,000- square-foot photography gallery (Gallery 230). Exhibitions may be drawn entirely from the collection, built around selected works to provide a context for our holdings, or be composed entirely of surprises from outside. Recent shows ranged from the first museum exhibition focusing on print-on-demand photobooks to images of Mount St. Helens by Frank Gohlke and Emmet Gowin and appropriated advertising imagery altered by young African American photographer Hank Willis Thomas. The collection contains around 5,450 photographs that span the history of the medium with excellent examples from each period. 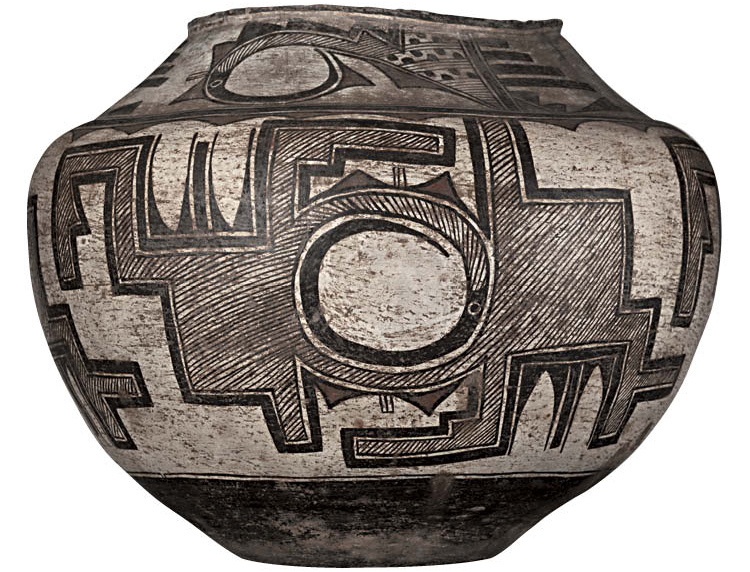 The entire collection is available 24/7, 365 days a year, on the museum’s web site. Our holdings from the early years of photography are remarkable. 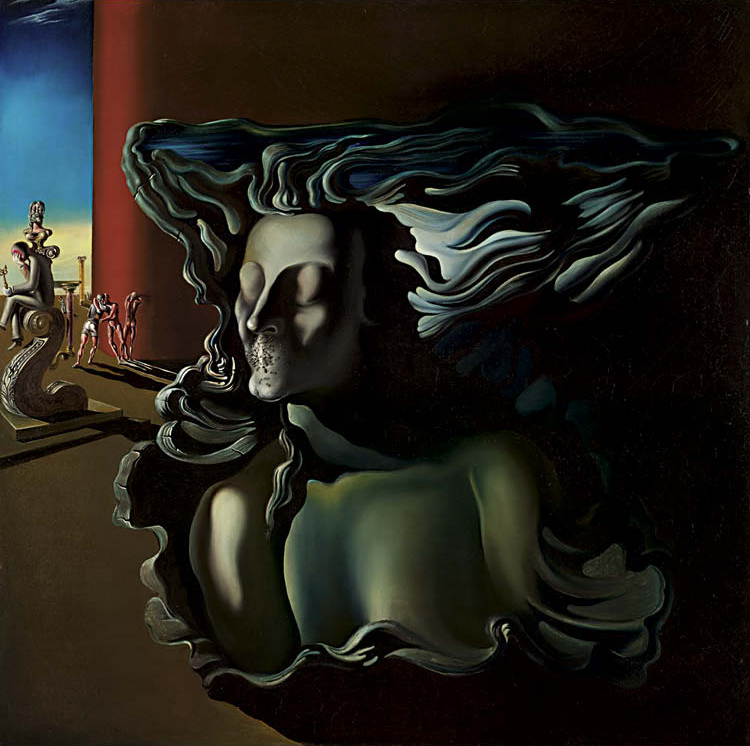 A few years ago we acquired an important collection of 178 Surrealist and modernist works from the 1920s through the 1950s that will be exhibited this fall in Smith Hall. 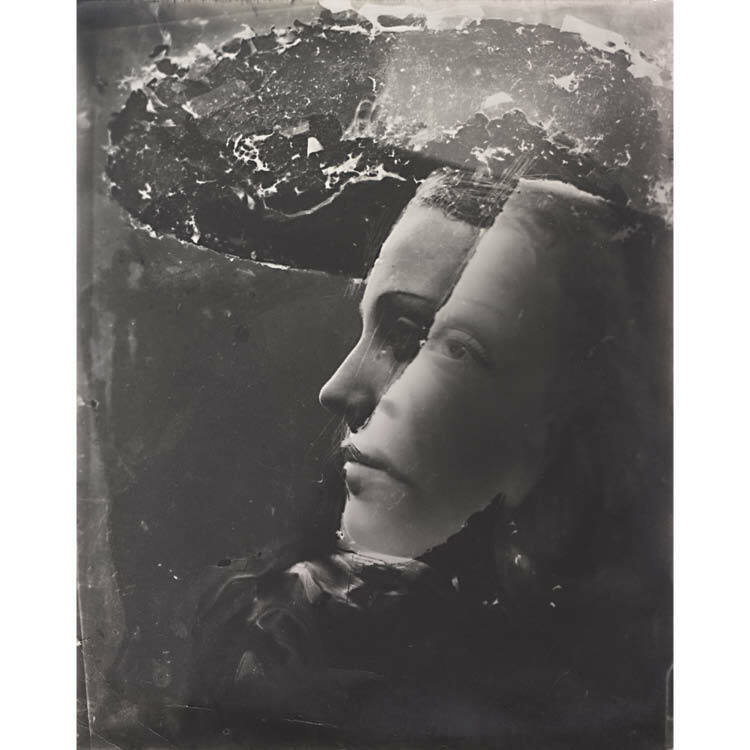 Dora Maar’s Double Portrait with Hat exemplifies photography’s experimentation with form and content during that period in its rupture with reality, post-Freudian evocation of a divided consciousness, and adventurous combination of techniques. 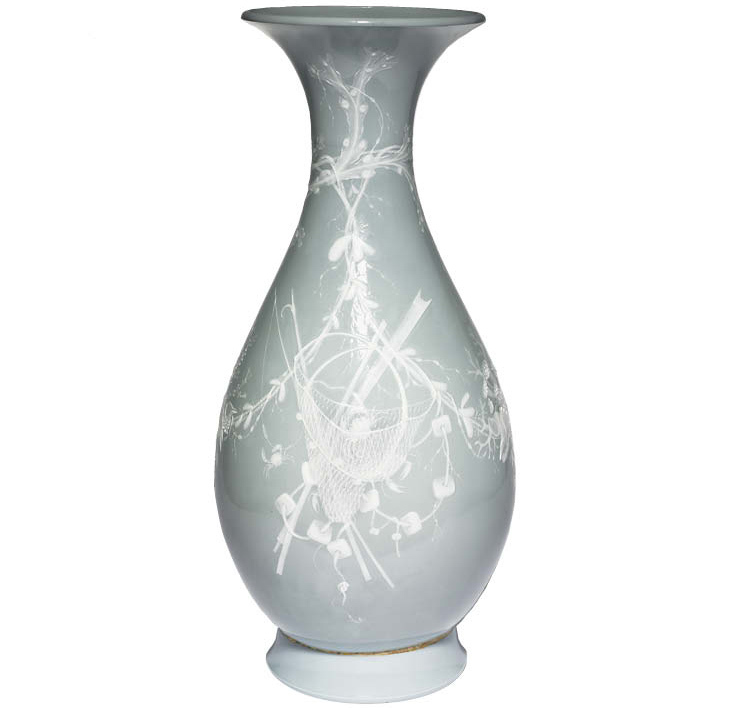 In terms of future purchases, I am focusing on adding contemporary work to reflect recent changes in technique and approach. I am also trying to increase the diversity of the artists represented in the photo collection. Last year we acquired a group of contemporary Chinese photographs. I hope to add more Chinese work, African photography, and perhaps even work from the Near East. Evolving Displays This spring, the galleries devoted to the display of contemporary art will be reinstalled for the first time in two years. Our upcoming reinstallation aims to offer new frameworks for more historical works in the collection, and to provide interesting context for recently made art. We will reconfigure the gallery layout in order to create three separate thematic groupings in a more defined spatial relationship. This allows us to reconsider works that haven’t been seen in many years, such as James Rosenquist’s Gift Wrapped Doll #3 (1992), or those which will be displayed for the first time since they were acquired by the museum. In addition, one of our goals is to integrate works from the collections of other departments such as photography and prints and drawings, creating a more complete experience and understanding of artistic production since the 1960s for our viewers. The first grouping of artworks offers a tour of various American landscapes—not just contemporary takes on the traditional genre of landscape painting, but also different ways of thinking about the specificities of American culture, taste, and history. For our starting point, we chose Philip Guston’s Tour (1969), which was one of the first works produced during his turn from Abstract Expressionism to a graphic, figurative style. Two hooded figures (presumably Ku Klux Klan members) sit idly in a convertible, smoking cigars. The image itself is rather surreal, but lucidly illustrates Guston questioning American value systems and even the roles we individually play in racial and economic inequality. Remaining on view in the rotation of artworks, Andy Warhol’s Marilyn x 100 (1962) is one of the highlights of the museum’s collection. While Warhol is certainly one of the most significant and influential artists of the 20th century, this work holds an interesting position as it chronologically is at the beginning of the collection of contemporary art, but the notions and ideas it embodies are still being grappled with by artists today. Moving from east to west in the north galleries, Mesoamerican art includes such works as the Maya ceramic Vessel with Battle Scene from Honduras and an Aztec Figure of a Warrior in solid gold. 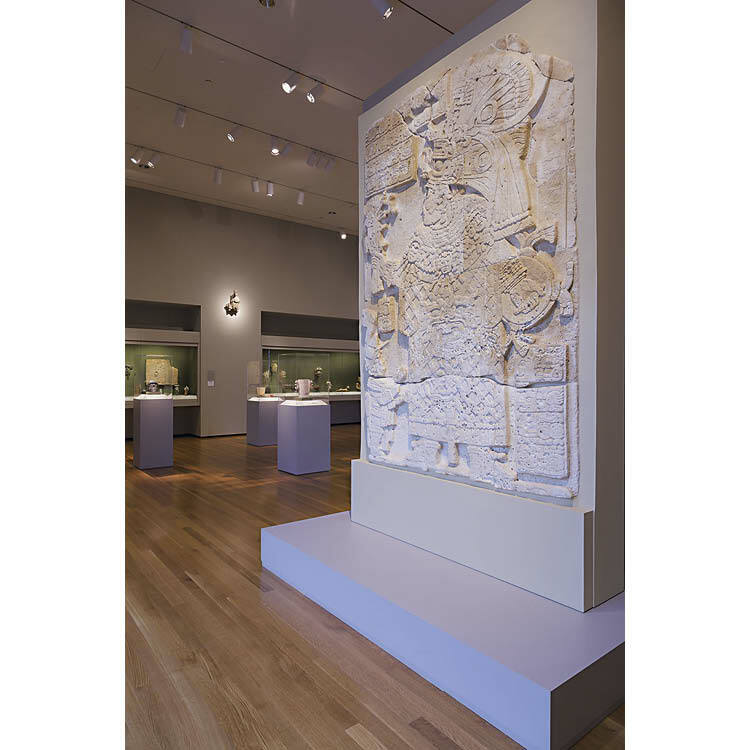 The grand Maya Stela greets visitors as they enter from the atrium. 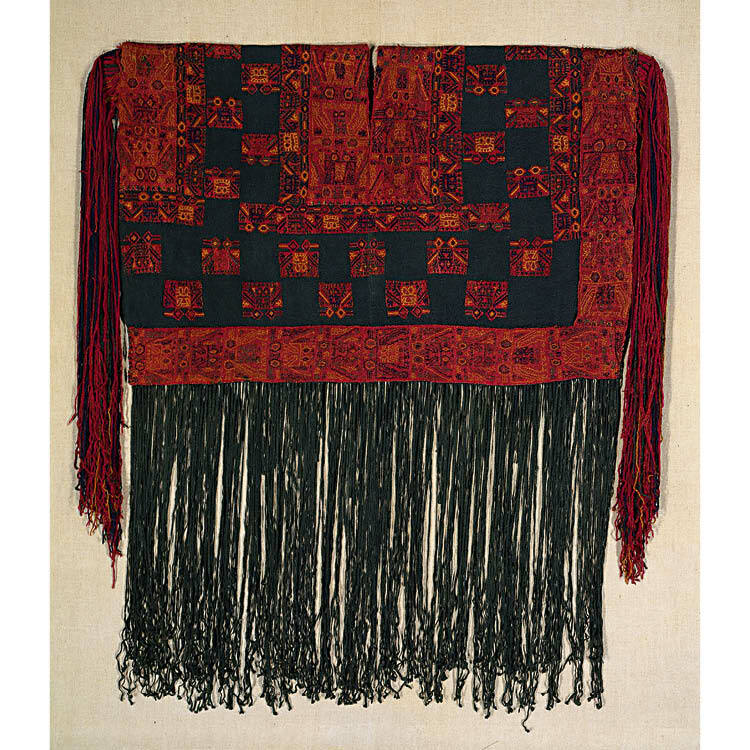 A side gallery, well protected from light, features works including textiles from cultures centered in the ancient Andes, including works featured in the recent exhibition Wari: Lords of the Ancient Andes. 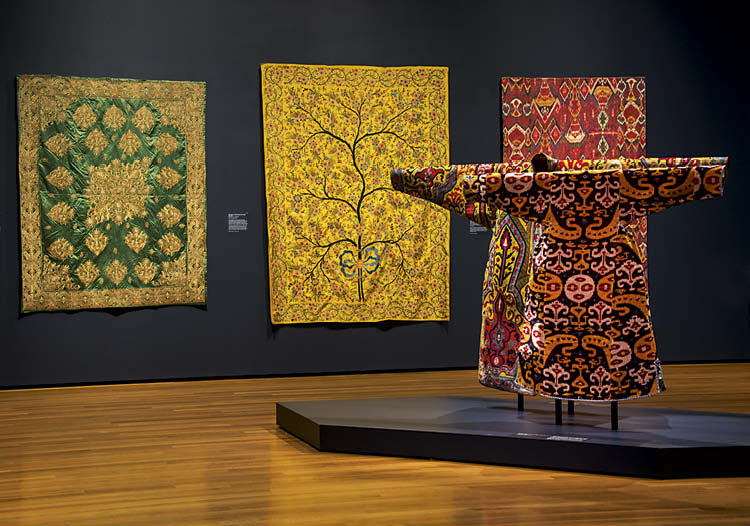 exhibition of textiles goes on view every year. 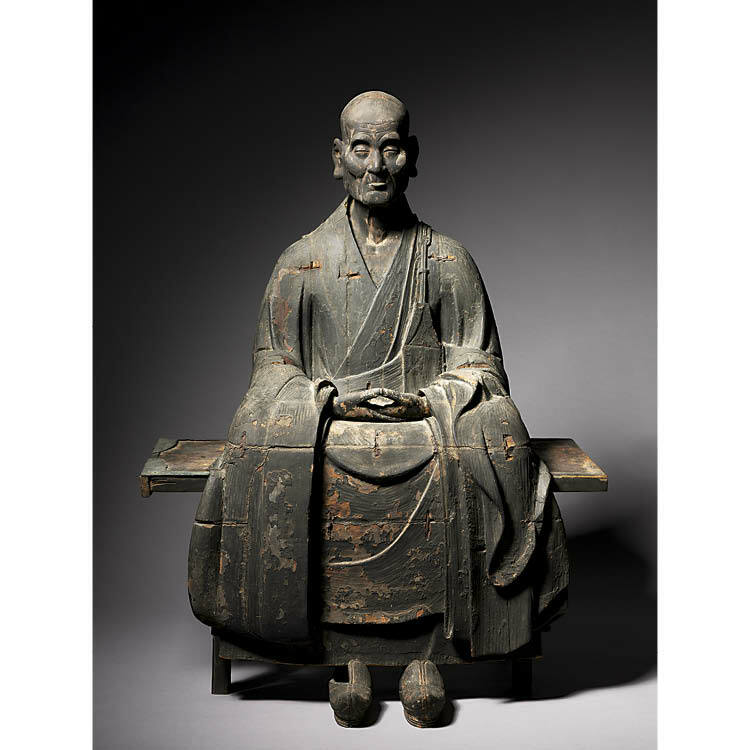 The art of Japan includes rotating installations of light-sensitive screens and scrolls, and Japanese sculpture highlights include the neolithic Flame-Style Storage Vessel and the 13th-century wooden Portrait of the Zen Master Hotto Kokushi. 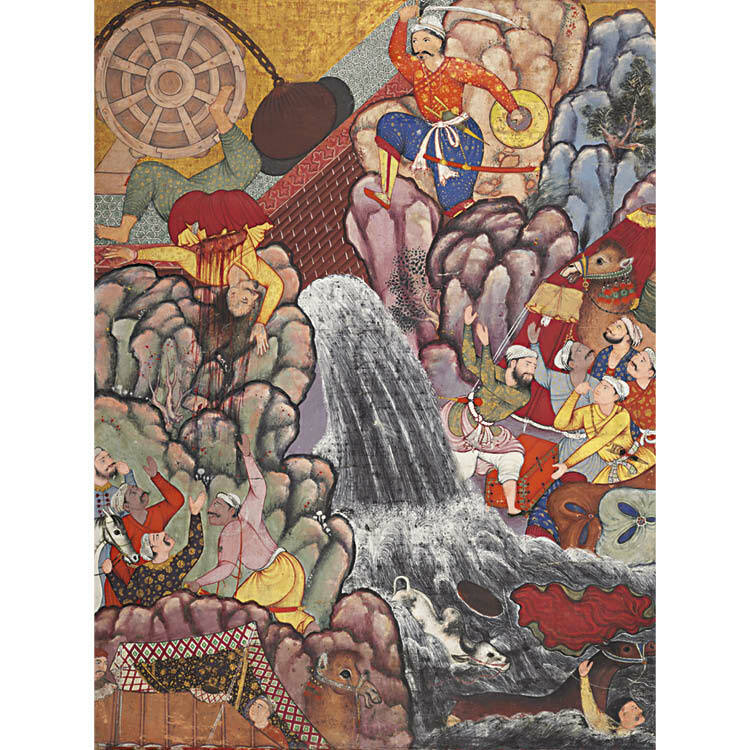 The first six-month installation of screens and scrolls includes the 17th-century Horse Race at the Kamo Shrine from Japan and the 16th-century Korean hanging scroll Winter Landscape. 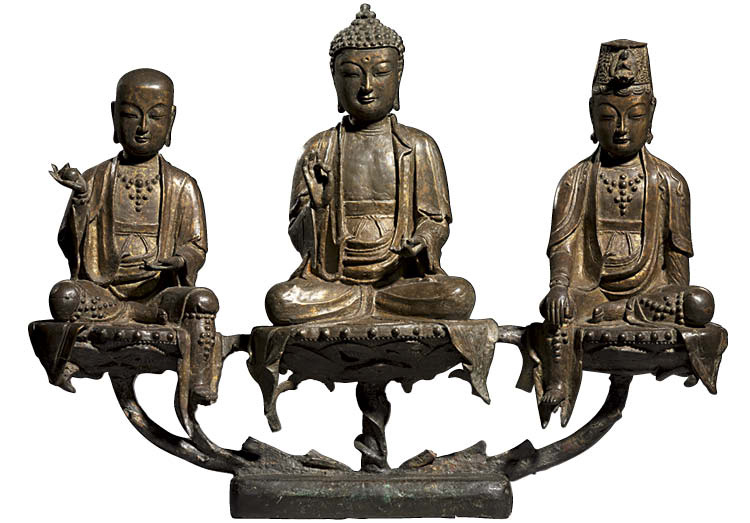 Korean art follows with objects including the eighth-century bronze Standing Buddha Amitabha, the bronze Amita Triad, and an impressive display of celadon ware ceramics. 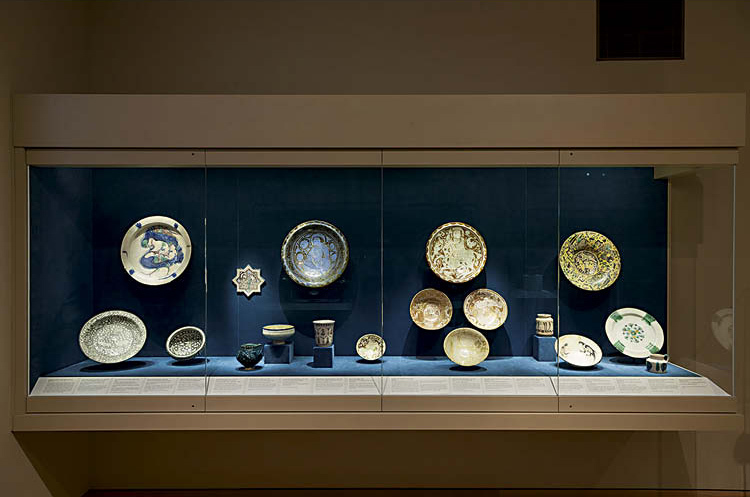 At the western end of the north galleries, Japanese and Korean art give way to Chinese ceramics and the connection to the west wing. The stepped west wing footprint mirrors that of the east. As in the east wing, the doorways are aligned to allow a long vista all the way from the north to the glass box at the south end of the wing. Two entrances facing the atrium lead to the Chinese galleries on the right and the Indian and Southeast Asian galleries on the left. 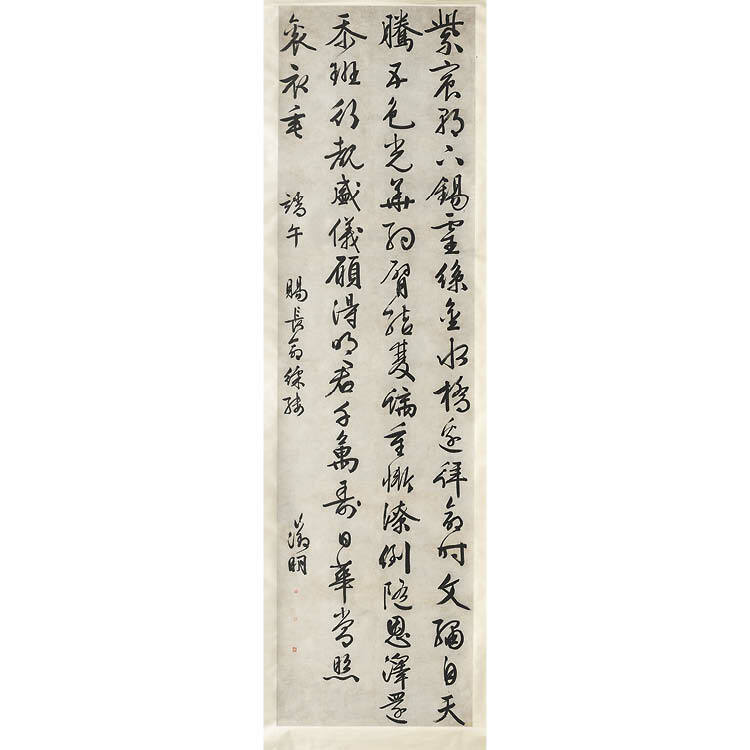 The Chinese suite consists of a series of galleries, from south to north: ancient ritual arts, Buddhist art from Tang to Yuan, painting and calligraphy, decorative art, and ceramics. 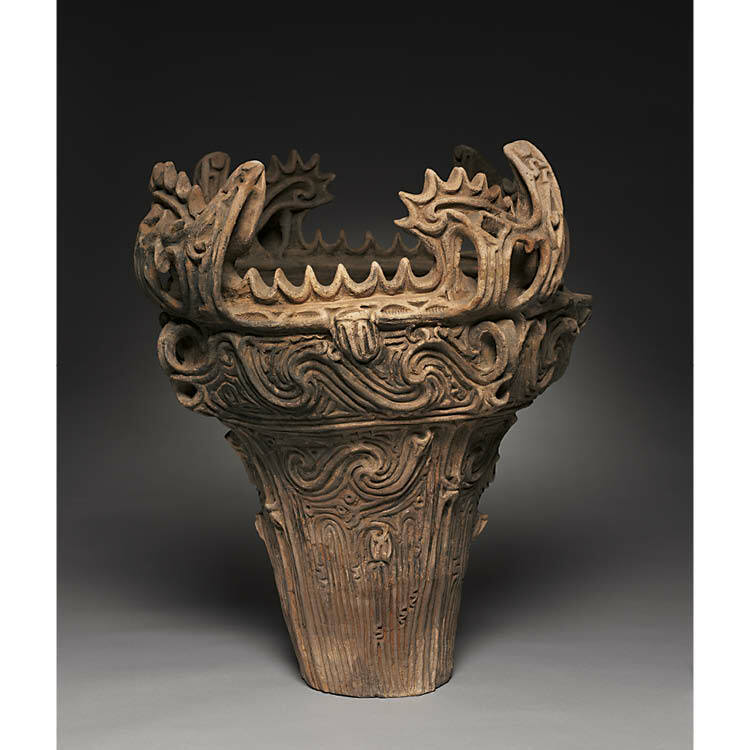 Highlights include a Western Zhou ritual bell with a historically significant inscription, a Warring States period (Chu) lacquered wood drum stand ingeniously created in the form of two snakes and two birds, and a black dry-lacquer Bodhisattva from the ninth century. 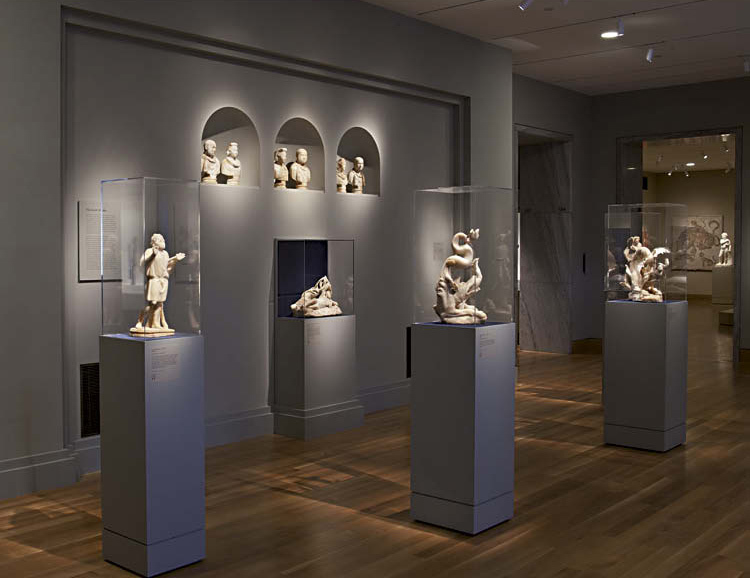 At the north of the Chinese suite, the Chinese ceramics gallery connects to the Himalayan galleries and further to the Japanese and Korean galleries in the north wing. 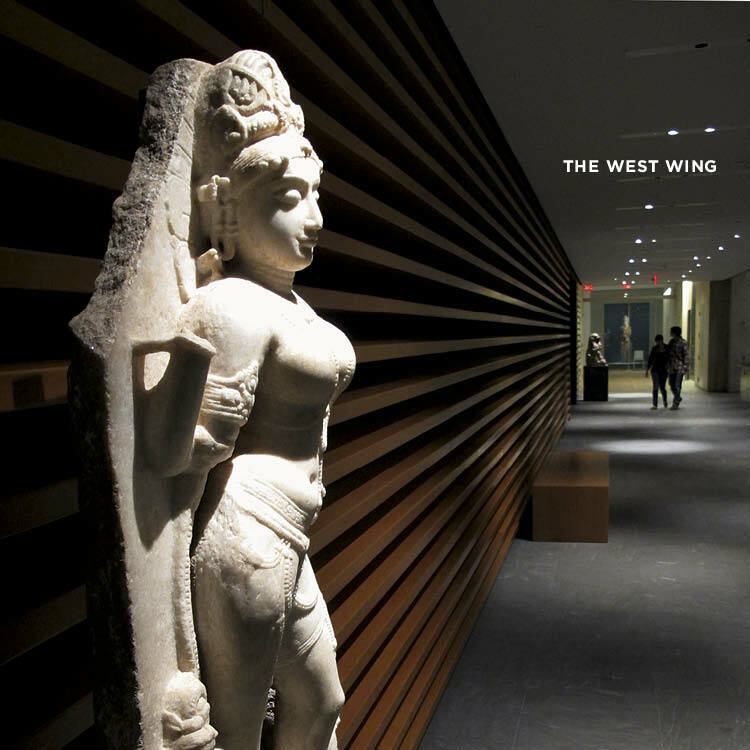 The southernmost galleries in the west wing feature early Buddhist art and luxury items from India, Pakistan, and Afghanistan. 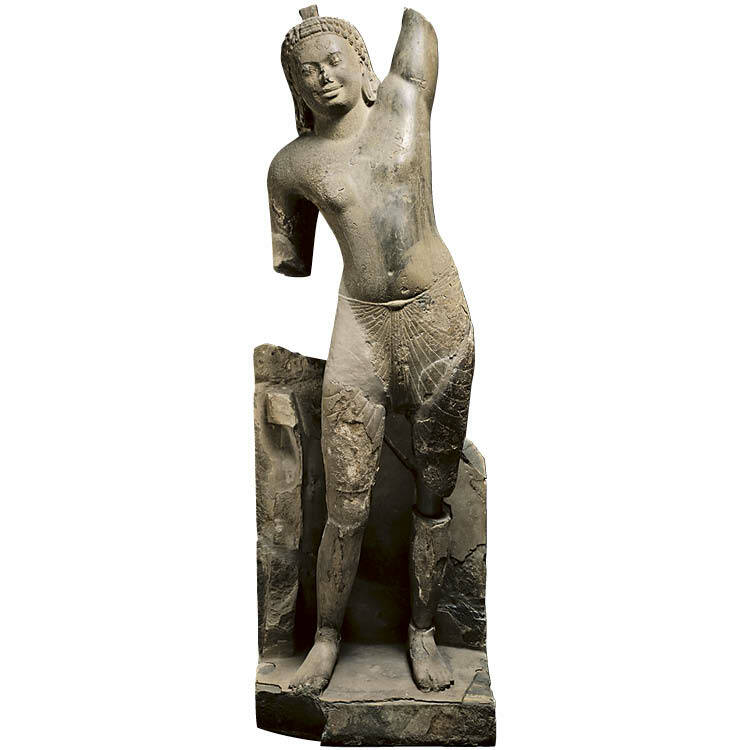 Many superb works reside in these spaces, including the imperial Mughal Tales of a Parrot manuscript, the sixth-century Cambodian limestone Krishna Govardhana, and the eleventh-century Chola bronze Nataraja, Shiva as Lord of Dance. 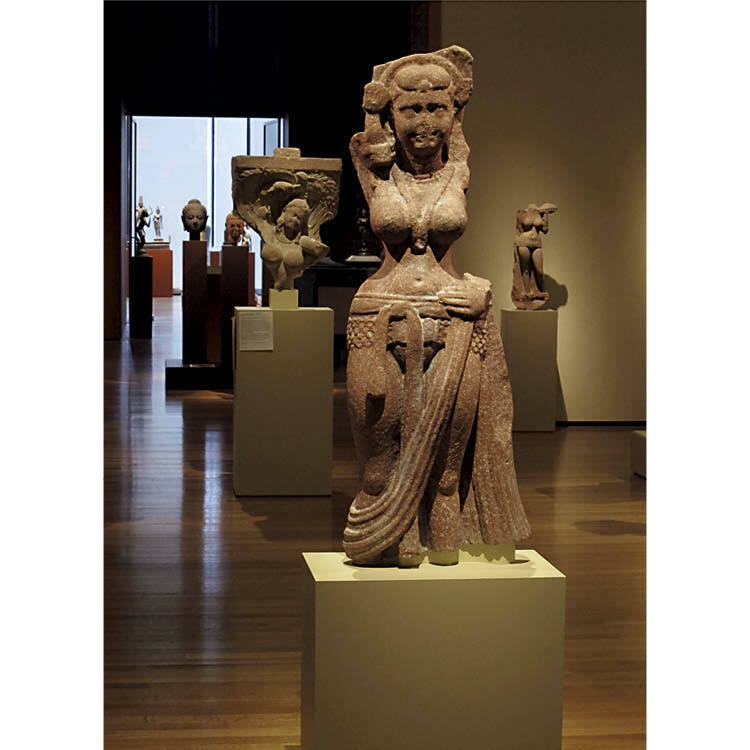 The red sandstone Nature Divinity from the first century exemplifies the voluptuous female figures so frequently depicted in Indian art. 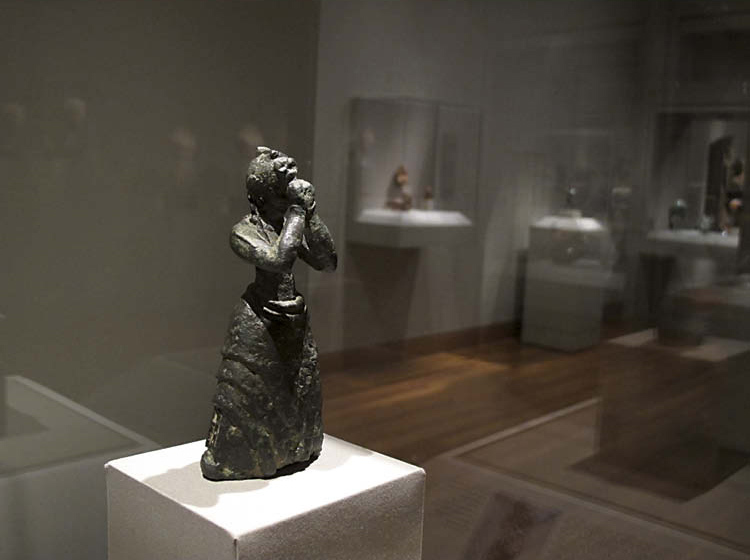 The glass box gallery at the southern end—here not overlooking the street, but poised above a sloping wooded hillside and Doan Brook—features bronze and stone sculpture of India and Southeast Asia. Director of interpretation Jennifer Foley recorded curator interviews in the galleries, and a small army of volunteers transcribed those interviews for this project: Katherine Kisicki, Patrick Lucas, Laurel Mazorow, Morgan Psenicka, and Alan Zelina.